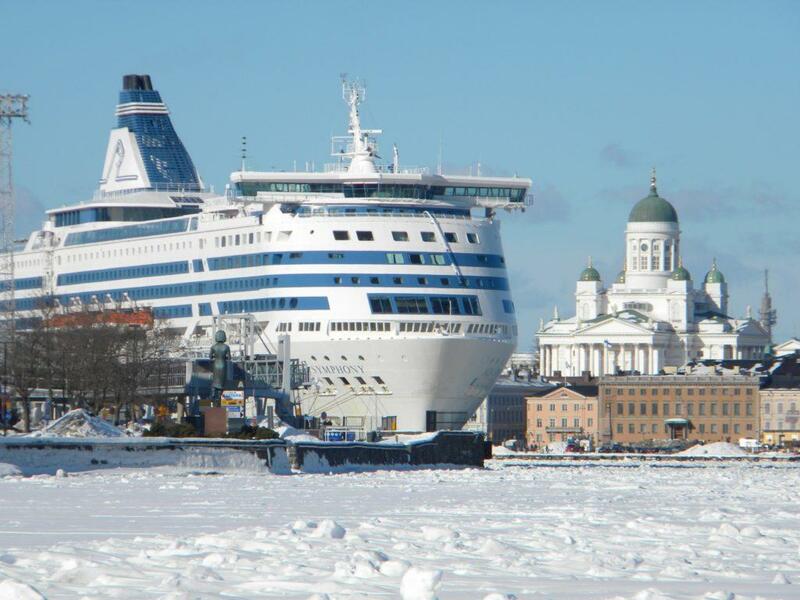 Home » Yleinen » How to get to Senate Square from Helsinki port? 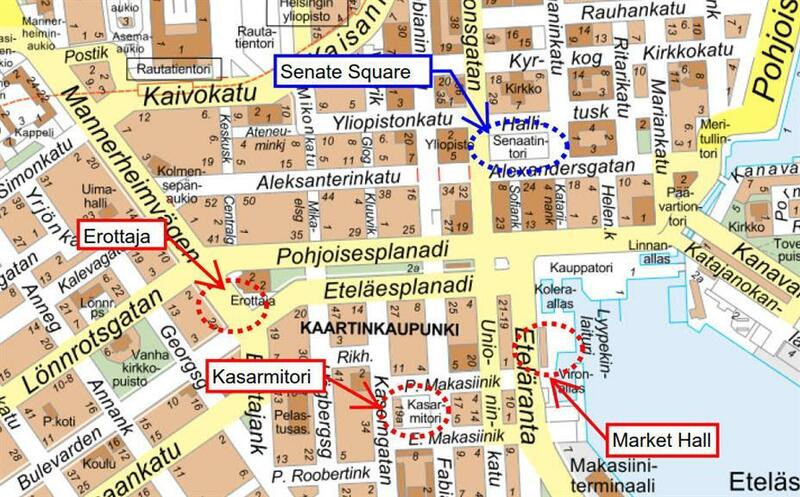 How to get to Senate Square from Helsinki port? 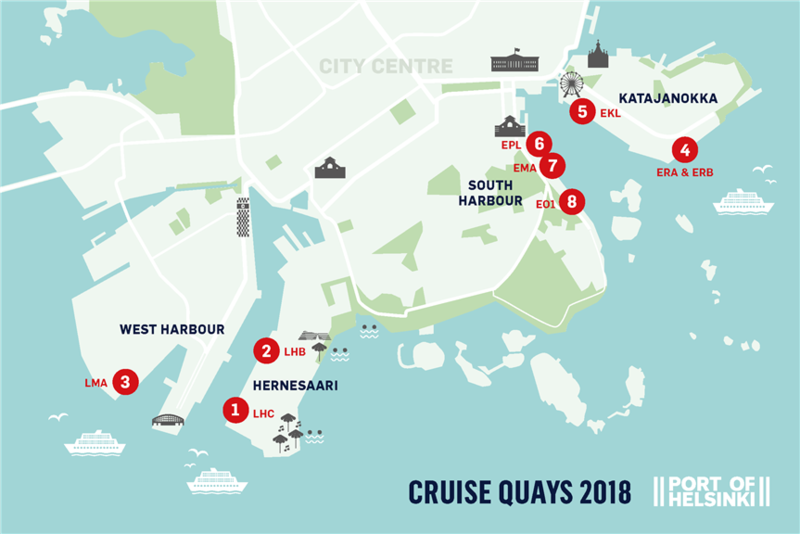 International cruise ships make almost 300 visits and bring nearly 500 000 tourists to Helsinki during summertime. Probably you want to get to Senate Square from Helsinki Port? The Senate Square is the centre of historical Helsinki with lots of main sights around it. This is also the starting place for Helsinki’s Free Walking Tours! You’re not the only one getting confused with the public transportation system and this is the why we wrote this hands-on manual of different ways to get to Senate Square from Helsinki Port. Large ships dock at Hernesaari (1&2) or West Harbour (3). The public transportation system may be confusing even with this info and if you want to to take it easy, taxi or Uber is the best an option! Even from the most distant port the cost is something between 15 – 25 Euros one way. Especially for groups we recommend considering this option as it is even a better deal than buying the tickets for everyone. This is another quick and easy way to get to Senate Square from the Helsinki Port. Not all, albeit most of the Cruise Ships offer a shuttle buses to the City. The exact destination where they drop people of in the City of Helsinki is they keep secret until arriving to Port. However, all of the drop-off points are close to Senate Square and everything else in the centre. This is a rather compact Capital. If interested in using the public transportation system, keep on reading! The address to the Senate Square is Hallituskatu 9. The following busses and trams are the most sensible public transit options from each Harbor. Get off at stop Bulevardi, walk to the Senate Square (1km). P.S. You can even walk to the Senate Square! 1.You need to have a ticket before you enter the bus, tram etc. 2.Buy one from the machines found at the harbor and stops or buy a mobile ticket. Tickets bought from ticket machines are valid from the moment of purchase. You can pay by cash or debit/credit cards. When paying without pin code, please let your card stay on the machine until the payment is processed completely and the machine allows you to pull out your card. Sometimes people are having problems because they pull out their cards too quickly. You can order a mobile ticket by sending an SMS “A 1” to 16355. You get the ticket in the form of a reply message. The price of the ticket will be included in your phone bill. The ticket is valid in Helsinki on the Metro, trams, commuter trains and the Suomenlinna ferry but only on certain bus routes. Advance purchased tickets are loaded on single-cards and you can buy them for example from the ticket office located at the Central Railway Station. Show the card to the card reader at the beginning of your first journey. If you see any R-Kioski (Bright yellow and blue signs with big letter R), the tickets can be purchased from there as well. Please kindly note, that at the central city there are machines on some of the regular stops but be aware that you can pay there only with cards. You can find a machine for example at the dock where the Suomenlinna ferry leaves on the Market Square. There you can buy your tickets back to the port with cash as well. The other option is to find any R-Kioski. The price for one-way ticket will be 2,50 – 3,20 depending on where you buy. The cheapest ticket is the tram ticket purchased from the machine, which is valid only on trams (2,50). You can buy a day ticket (9 Euros) which is valid for 24 hours from the validation. Especially if you would like to go to Suomenlinna sea fortress during your stay, keep this option in your mind as the ferries are included in the public transportation. How to find Free Walking Tour organised by Green Cap Tours? When you enter the Senate Square, look for a guide with a green cap! She or he will be standing at the base of Helsinki Cathedral’s stairs. 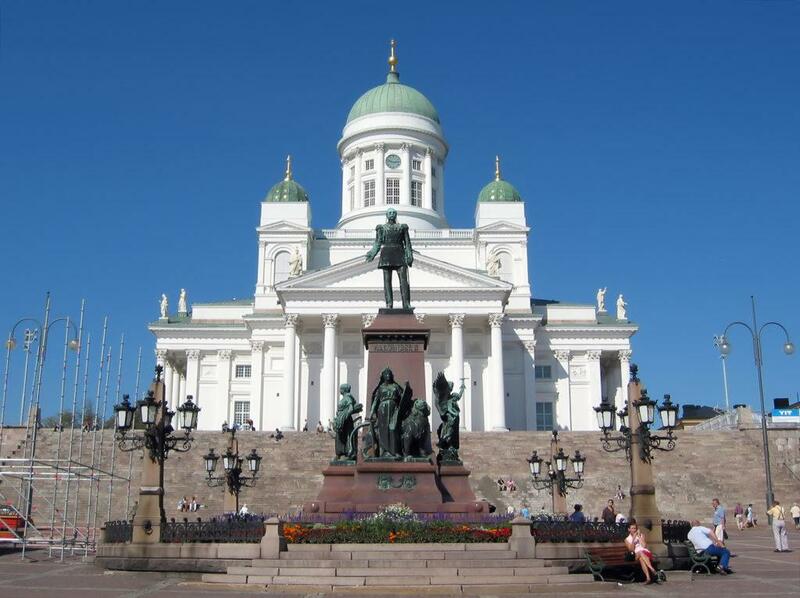 Helsinki Cathedral is the most iconic sight in Helsinki, the huge white church without any visible church bells. You can’t miss that one! Enjoy your tour with an energetic, academic guide who loves to share his or her Helsinki with you! information was accurate when written (8.8.2018).